"The spaces they create and the shows they organise are underground in the true sense of the word." “Humanism is the only - I would go so far as saying the final - resistance we have against the inhuman practices and injustices that disfigure human history.” Edward Said. Settlements, barriers, checkpoints, clashes, intifadas, apartheid, and 'terrorism' are what makes up the narrative surrounding the Palestinian-Israeli conflict in Western and Eastern media both left and right wing. 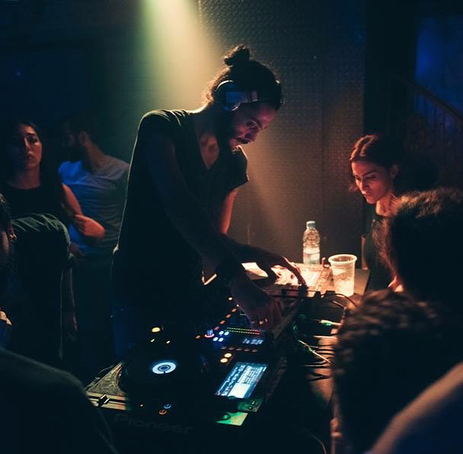 But how often do you come across news of underground Palestinian music movements or nightlife? 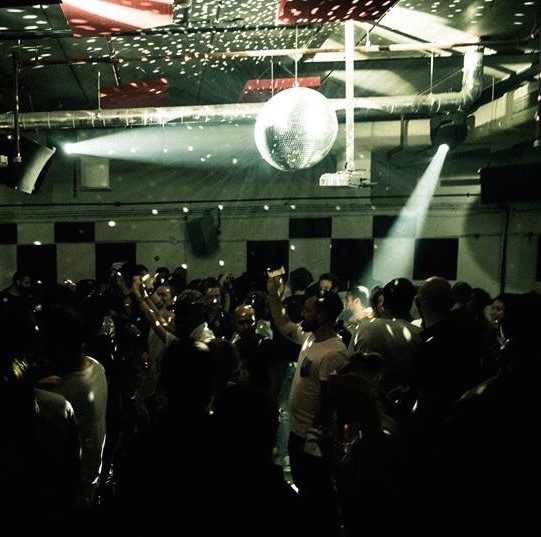 The struggle for bread, electricity, water, and freedom of movement is apparent, but how emphasised is the struggle to set up a proper arts and nightlife scene? To some, it might seem trivial in the larger context of the conflict, but trying to push through the hardship of being in an almost constant state of war to create an avenue for art and music is an important element in not succumbing to the struggles of the conflict and allowing it to define a nation. 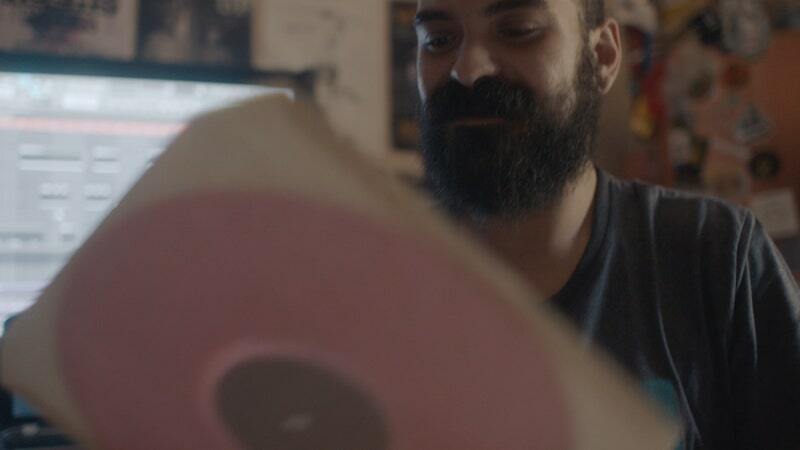 In Boiler Room’s newest documentary through their 4:3 platform, a crew follows around several Palestinian art collectives and individuals a week prior to Boiler Room’s debut party in Ramallah. The film gives insight into the lives of Ramallah and Haifa-based Palestinian artists who both face a different set of obstacles in their respective hometowns, as they attempt to bridge movements despite state-imposed barriers and the almost non-existent freedom of movement. The film starts off with footage of Ramallah-based DJ and Radio Nard manager Odai ‘ODDZ’ climbing the imposing 8 metre barrier out of Ramallah, and injuring himself in the process, to perform at a gig at Jaffa club, Anna Loulou, in Israeli territory or, as most artists in the documentary refer it, 'occupied Palestine', '1948 territories' or just simply as '48'. Israeli military forces can decide to let you go in, or they can question you if they think you're doing something that would be critical of the state of Israel. 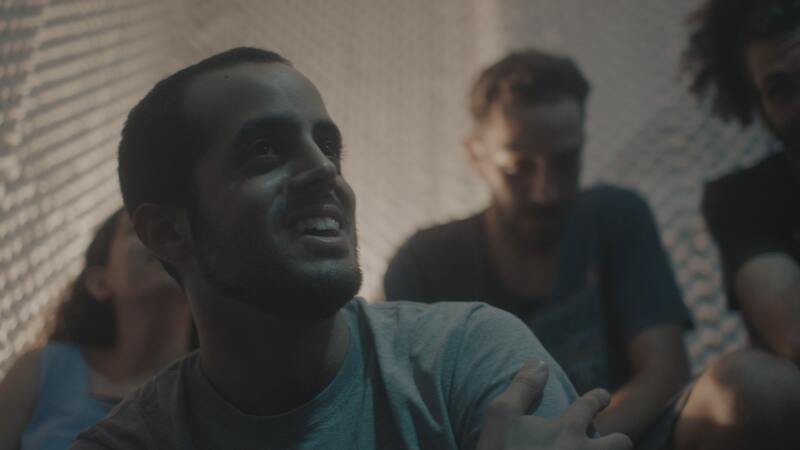 Members of the Jazar crew mentioned how vital the scene in Ramallah was to starting theirs, especially hearing artists like Muqata’a who’s considered one of the godfathers of Palestinian hip hop, helping shape it through the Ramallah Underground collective that disbanded in 2009. 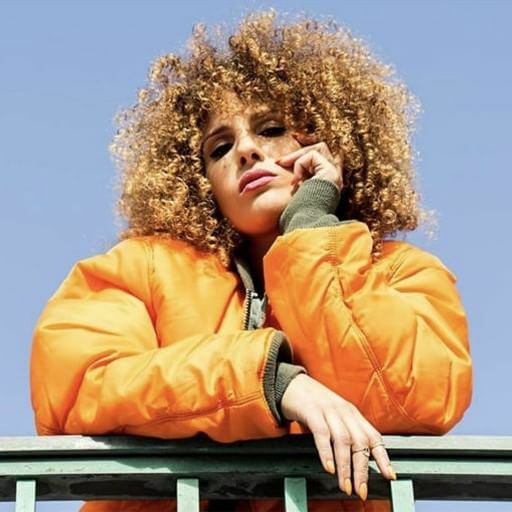 The storyline moves back to the other of barrier to Ramallah, shedding light on Muqata’a, AlNather and the Saleb Wahad / BLTNM hip-hop collective and techno prodigy Sama’. It's a unique look at the state of things on-ground - the kind of stories that you'll rarely, if ever, see in the news, but ones that are every bit as significant. We spoke to producer Anaïs Brémond and director Jessica Kelly to find out more about the process, challenges and opportunities behind this documentary. What would you say the biggest challenge was during filming this documentary be it logistically or legally? Anaïs: It was a really challenging project. It first started at home. I think a lot of people, even at Boiler Room, thought we'd be shooting in a war zone, which is obviously far from the truth. One of our freelance crew members pulled out from the project in the days before the shoot because their agent thought it was too dangerous to film in the West Bank - we were lucky to find someone as talented and up for the job on such short notice. The girls and I were backing up footage in our pyjamas while three policemen were looking around the flat for 15-20 minutes. We went through the checkpoint four times, so that's always stressful - Israeli military forces can decide to let you go in, or they can question you if they think you're doing something that would be critical of the state of Israel. So there was always a small risk we wouldn't be able to get in, or we would get into trouble. We were also stopped several times in the West Bank by the Palestinian Authority, asking what we were filming, and thankfully our fixer Ashira and camera assistant Michael were there to explain the situation to them. The fact we were making a music documentary made things easier for us. Our local crew saved us from a few tricky situations. Obviously, shooting in Israel with a Palestinian crew brought a lot of attention. We had the Israeli police coming uninvited to our Airbnb in Jaffa on the last day to check our flat and the rooftop. They said it was because there was something suspicious happening in the building next door, but it was hard to believe. The girls and I (Debora, Assistant Producer and Programmer, Jessica Kelly, Director) were backing up footage in our pyjamas while three policemen were looking around the flat for 15-20 minutes. It felt really invasive. Having to pay some of the local crew in cash, as they wished, made things tricky, but we realised after the fact that it was their way to take part in the BDS by refusing payments made through Israeli bank accounts. We all got questioned extensively at the airport. We had to give names of people we stayed with, and explained what we were doing there, but we just told the truth, and that we were coming to make a music documentary. My suitcase with the backup drives got ‘lost’ on the way back to London and kept for two weeks by the Israeli airport, without me knowing what had happened to it. Apparently this happens a lot to journalists or people working on the way back from Tel Aviv. I almost lost my mind trying to locate it. We also had a very tight schedule because we wanted to cover the scene properly, so we shot four different parties, including the Boiler Room party, across three cities over five days, so lots of sleepless nights. It was relentless. The whole crew hated my guts by the end, but considering what we managed to capture, I think it paid off. Do you feel like these artists’ movement (both physically between borders and as an idea) would be compromised further following the release of this documentary? Anaïs: This is a big challenge of course - because the artists we filmed, especially in Ramallah, are part of a minority of people who want to create an alternative music scene. 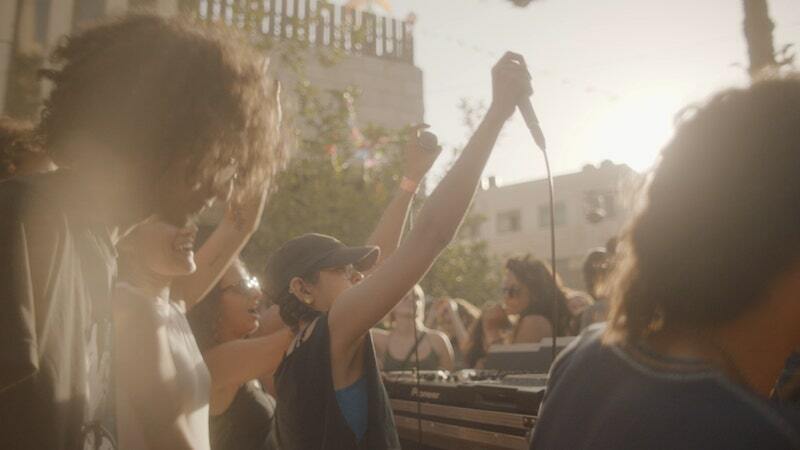 Although music and dance has a vital place in mainstream Palestinian society, and wedding culture there is a total vibe, the few hundred people who are part of this alternative scene are a minority of people into hip-hop/trap, techno and dance music. The spaces they create and the shows they organise are underground in the true sense of the word - they go against mainstream society’s values, so it’s safe to say they’re not looked upon favourably by everyone in Palestine, especially not religious conservatives. The spaces they create and the shows they organise are underground in the true sense of the word - they go against mainstream society’s values, so it’s safe to say they’re not looked upon favourably by everyone in Palestine, especially not religious conservatives. There is a serious risk of repercussions if authorities believe that people are breaching some rules at these events, like playing music after midnight, taking drugs or engaging in inappropriate behavior. So they're under a lot of scrutiny from members of their own community. 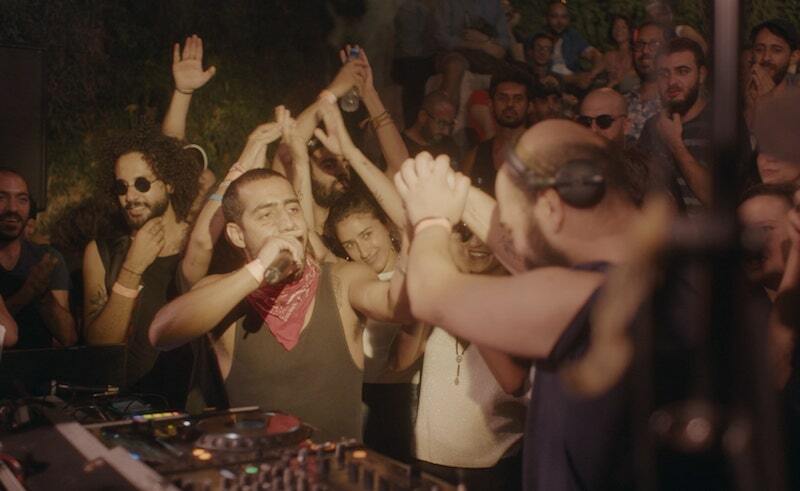 We didn’t want to be disrespectful to anyone by facilitating a filmed party in the West Bank, but we also wanted to show the scene as it is, because it exists, regardless of Boiler Room. And the artists wanted it to happen; they wanted the world to see that Palestine is not just a war zone; that it has a thriving music scene in spite of the conflict; that young people are not all the same. It's not like they didn't have a say, or didn't know that we'd be coming with camera. We all collaborate on this together. Oddz obviously faces a real risk for being filmed jumping the wall, but this was his idea and he wanted to show to the world what he is forced to do because of the apartheid wall and the restricted freedom of movement in the West Bank. We all hope nothing bad happens to him - we do think that the Israeli military has bigger fish to fry than try and prosecute peaceful artists just trying to go and party with their friends on the other side of the wall. Oddz obviously faces a real risk for being filmed jumping the wall, but this was his idea and he wanted to show to the world what he is forced to do because of the apartheid wall and the restricted freedom of movement in the West Bank. It was tricky to navigate, but no one was unaware of the risks and it was a joint decision made with the people in the scene there. How do you think audiences will react to this documentary? Do you think it has the potential to divide or unite opinions, or perhaps even give room for dialogue between the Palestinian and Israeli scenes? 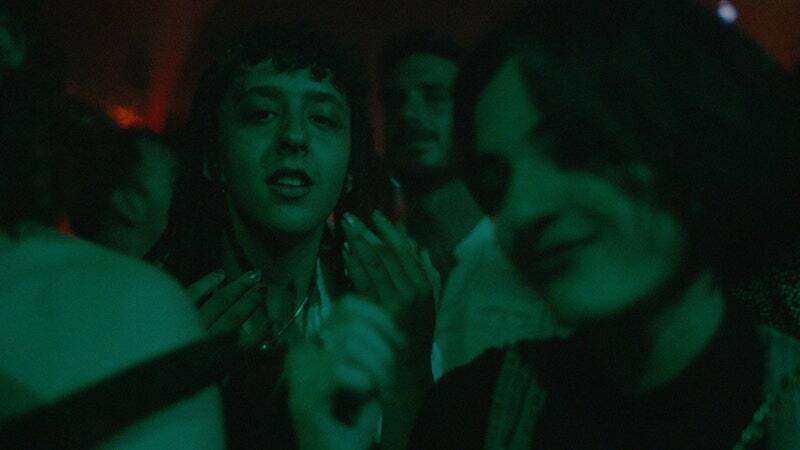 Jessica: The film is told pretty much exclusively from the perspective of Palestinian artists as it’s a film about the Palestinian underground music scene. But I think that there will be a small group of people who will take offense at simply the choice of subject. For everyone else I hope that the film could open some dialogue. Perhaps there are some Israelis who’re involved in the music scene there who will see this film and think, OK, now I see where they’re coming from - it must be annoying not to be able to travel to your own gig. Would you pursue a continuation of this documentary, say in a couple of years from now, to see the development of the scene? Anaïs: My hope is for us to shoot a longer sequel to this in the next few years, if the film does well. I feel like there's material to make a long form film for sure. TBD! Was this project of any personal significance to you? Anaïs: I don't want to come across as corny, but this project has changed my life. I've met some incredible people through this project, discovered some amazing music and produced a film I'm really really proud of. 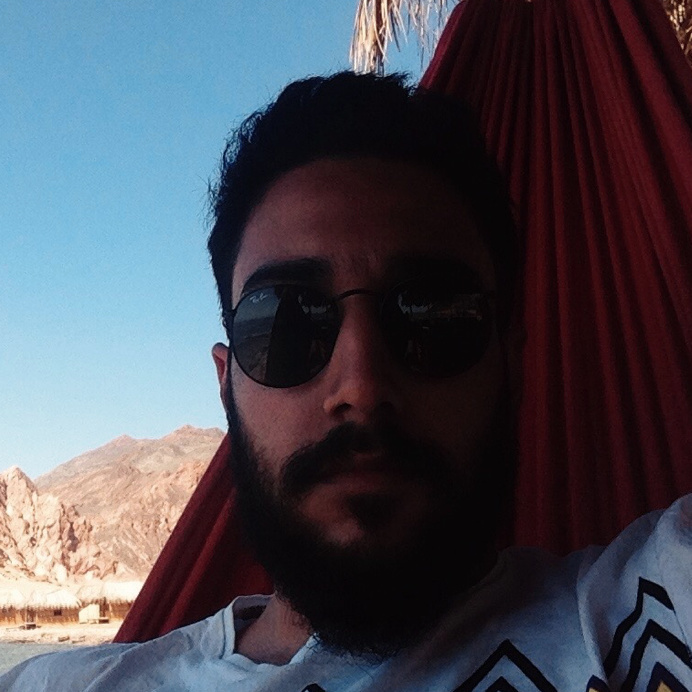 I've been back to Haifa already since the shoot, because of the friendships I made through this film, and I'm hoping to go back again in a few months - and if I do I’ll definitely swing by Ramallah. We wanted to bring the whole crew to London for the private screening, but due to travel restrictions and the cost of visas, it wasn’t possible. There is no airport in the West Bank and visa requests can take months and are very expensive, while Israeli citizens don’t have to pay for visas. It’s completely unfair. ...it felt really good to come and do a story about Palestinians not being victims. We have plans to keep collaborating with the artists, including those on the West Bank, on parties, events and films. We want to keep using Boiler Room’s platform to raise awareness of the situation and showcase their incredibly vibrant and unique scene. We met people we genuinely got along with and want to keep working with, so for us it’s only the beginning. Jessica: Yes, this project did feel really personal to me. I had made a film in Palestine back in 2015 for Vice and loved the experience (on our first morning in Gaza we were driving along the sea front with two lion cubs in the car! ), so I was really excited to come back. I’d also been getting pretty upset just before the film was commissioned watching protesters in Gaza being shot at by Israeli police, so it felt really good to come and do a story about Palestinians not being victims. Unlike a lot of the current affairs documentaries I’d made for BBC and Channel 4, this platform enabled me to be a bit more artistic, sort of let the music give the film its own life, sometimes a bit removed from reality. Follow Boiler Room on Facebook and Soundcloud.